Once again it's time to review your digital photo albums, and get out your cameras to capture images of winter for the 4th Annual Winter Photo Contest. 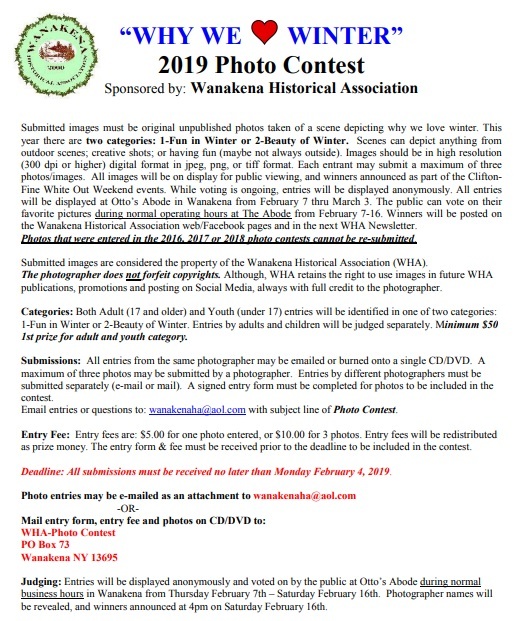 The Wanakena Historical Association invites you to make the 4th annual winter photo contest a success again this year. 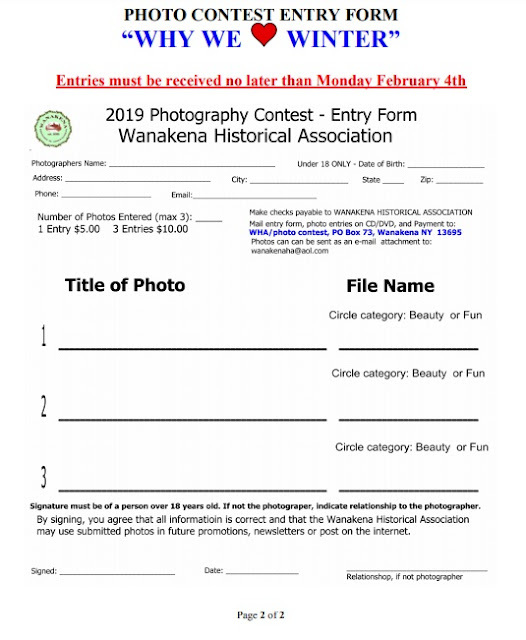 This year, there are two categories that will have photos judged: "Fun In Winter" and " Beauty of Winter", which can mean different images and/or activities to different photographers. 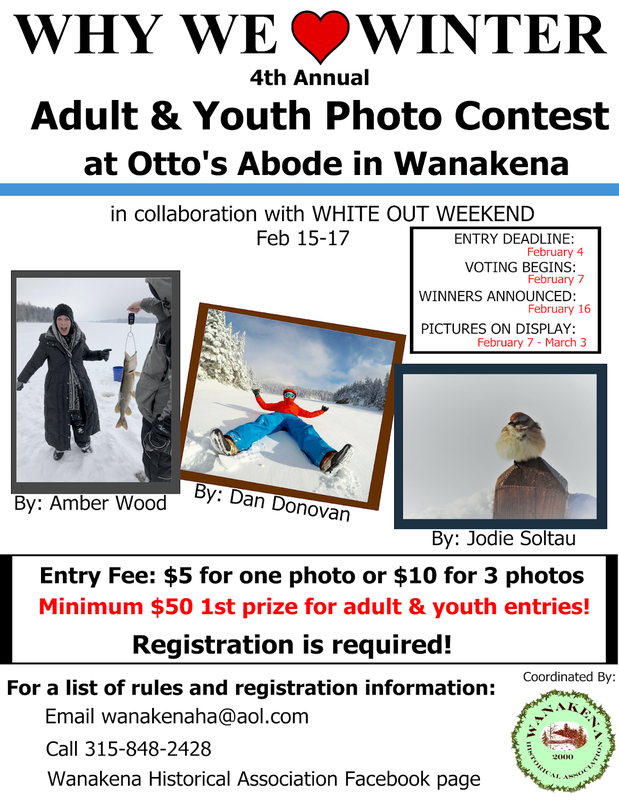 In previous years the photo contest has been one of the best attended events during the Clifton-Fine White Out Weekend (February 15-17). Each photographer can enter up to three photos. Last year the first prize winners each received $80! Minimum First prize for both the Youth and Adult entries is $50. Although generous donors help to ensure minimum prize money, the final prize money increases with the number of entry fees received. 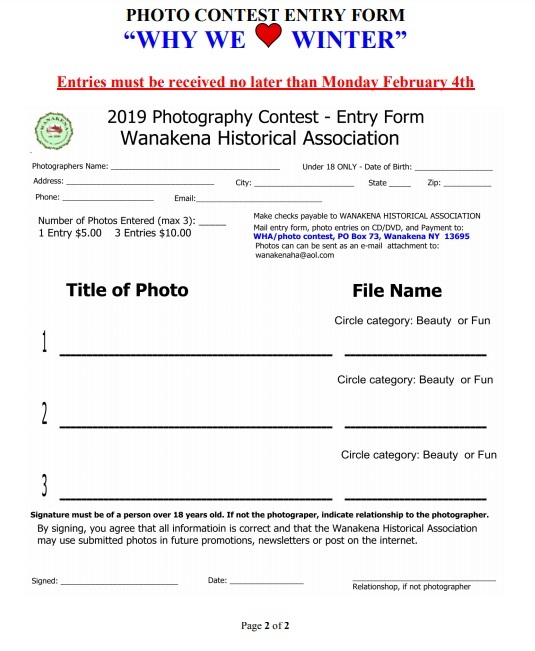 Attached is the contest flyer, entry form and rules. All submissions must be received no later than February 4th. Help make this event another Wanakena WOW success. PLEASE FORWARD to anyone you think might be interested in entering. Can't wait to see the creative and beautiful images entered this year.